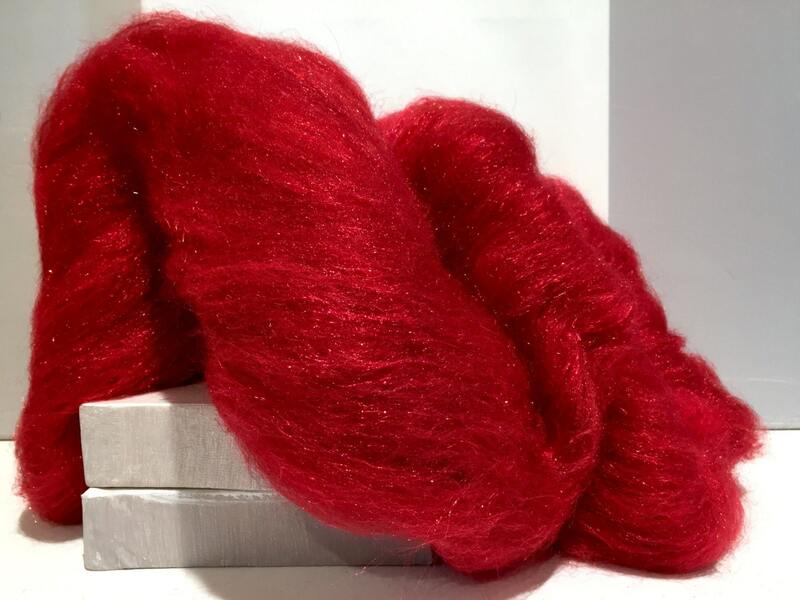 Sparkly red wool, icicle, and angelina make this the perfect fiber combination for all your holiday projects, be it Christmas, Valentine's Day, Mother's Day-- or any day! 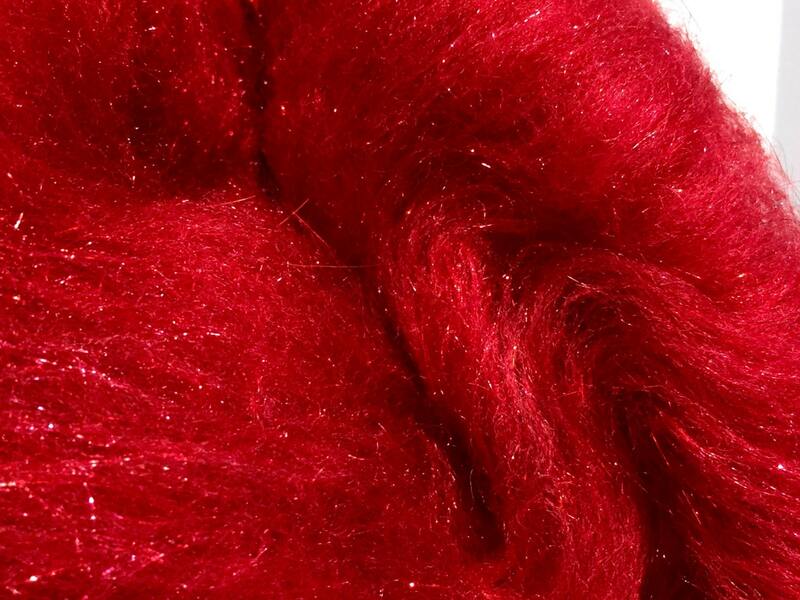 Synthetic fibers do not wet felt at all and are difficult to needle felt. We have dyed and blended them for you so that it all works together quite splendidly. 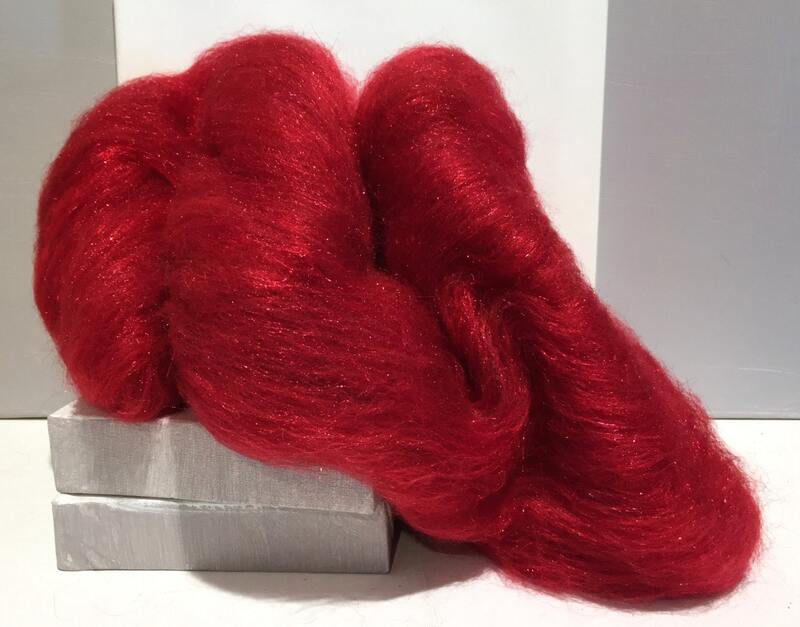 **You will receive a 1-8 ounce mini batt of hand dyed dyed and commercially dyed wool, carded together with hand dyed Firestar top (a fine, sparkly nylon fiber) and red angelina for maximum sparkle. We make similar batts in white, silver, green and gold! 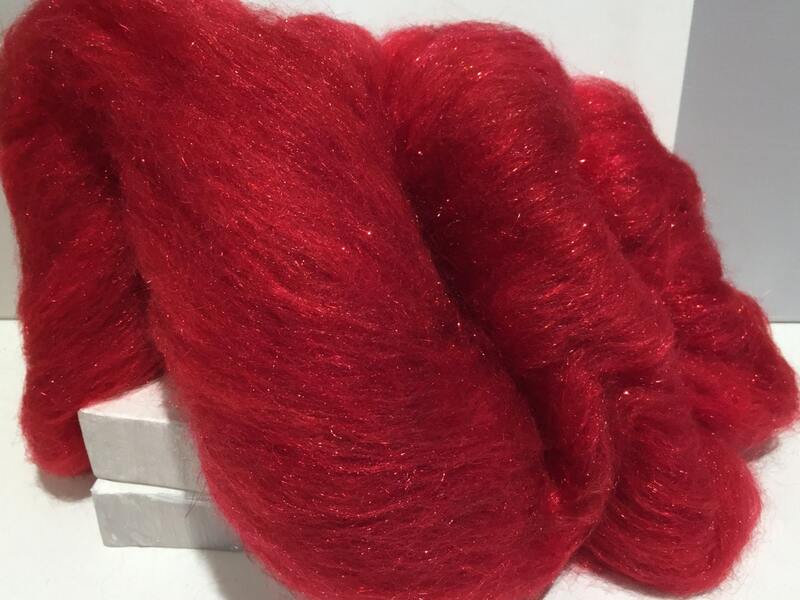 super rich and sparkly red fiber. Nice packaging. Looks like the photo beautiful colors. I am so happy I found this shop! I just learned how to make felted flowers. The colors and variety here are wonderful. Thank you! True to picture color and great quality. Love it! Brilliant! Just what I wanted! Love the sparkly. And as always it is good quality and arrived just as ordered. My photo shows it a lighter shade than it actually is...your photo captured the color spot on! Another lovely transaction! Thanks!